Driving a car at night has its own set of challenges. That is why it is important to distinguish between driving when the sun is shining and driving in the dark. A license to drive does not mean you neglect the rules. Basic traffic signal rules need to be respected all the time and drinking and driving must be avoided at all costs. Carrying necessary documents such as a valid driving license, active insurance policy, updated Pollution Under Control certificate and car’s Registration Certificate are a must even at night. 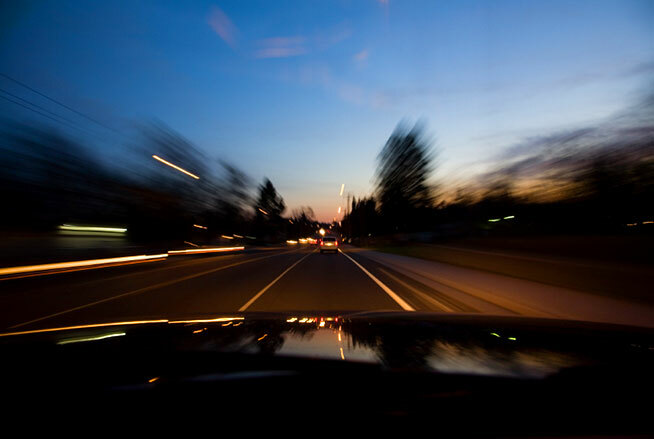 Read ahead to know 8 essential night driving tips for your safety. Some people are sensitive to the light, especially when it is shot at the eyes in the dark. The light emanating from the incoming car’s headlights can be blinding. Wearing night driving glasses will eliminate such effects and help you to focus on the road by reducing the impact of the incoming light falling on your eyes. Tailing a car in front of you can help you to be aware of any speed breakers or potholes. You can adjust your driving speed and technique accordingly. However, make sure to keep safe distance from the car in front of you. If it is your daily route, ensure to make a mind map of the route. Things can look a bit different at night but if you know the route, you will be confident and be able to handle any surprises comfortably. Be wary of experimenting with routes at night. It is better to stick to a tried and tested path rather than getting adventurous when it is dark. Navigators can come in handy especially on long night rides. Night rides can be stressful and if it is a straight road and a tiring body, there is a chance that you might feel sleepy. With a navigator around, the person can make sure that you stay awake and maybe take the driver’s seat for a while as well. Lowering your high beam is a good gesture as not doing so might affect the incoming driver. The same stands true for yourself as well. Giving proper indications while turning and changing lanes, and adjusting the headlights as and when required is a good practice. Long night drives can be exhausting. Listen to your body and take adequate rest. Driving with an aching body can take a toll on your mind as well. This can have a direct impact on your driving. Take adequate breaks during long drives. It is suggested to always stay hydrated and maintain a good body posture while handling the steering. Driving at night needs a heightened level of awareness. Staying alert will help you to be proactive. Expect the unexpected while driving at night, this way, you will be in a better position to tackle any inconvenient incidents. Keeping your windows slightly open from time to time can be helpful to stay fresh. Feeling the breeze can be refreshing. Also, keeping the window slightly open will give you a good idea about the speed at which you are travelling as it is difficult to gauge your car’s speed when the windows are shut. Respect the rules, respect the environmental conditions, and respect your fellow drivers. Following these basics are critical for safe driving. Do not get into ego wars with others on the road and cooperate with the police officers if they happen to stop you for a routine check. Driving well within speed limits will give you more control over your car and reduce the possibility of an accident. Servicing your car regularly is a good option. How to Save Money While Purchasing Bike Insurance Policy? Why Should You Renew Your Driving License?